If you have been following me on Instagram, then you’ve heard about my search for indestructible toys for Bear. 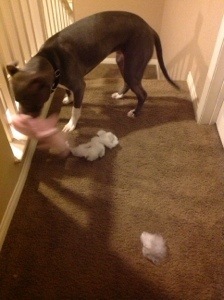 He shows no mercy in ripping toys to shreds. 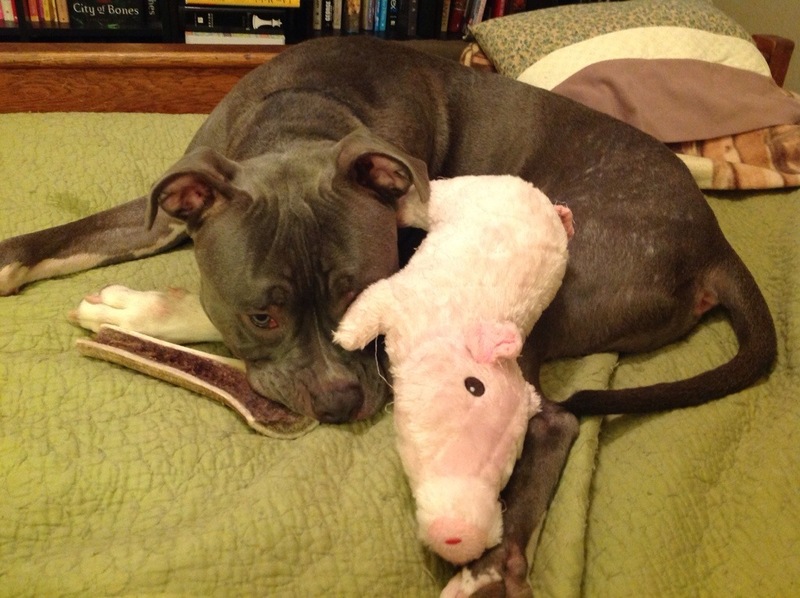 For those of you that’s haven’t been following along, let me introduce you to Oscar the pig. 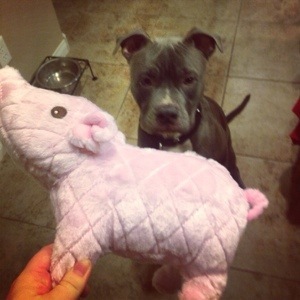 He was a good pig, very durable. Bear and Oscar quickly became best friends. Theses two pals were inseparable. Though Oscar’s time with us was short, he will always be rememberd. Mostly because every time I try to throw him away (what’s left of him anyway), Bear diggs him out of the trash and runs off to hid him somewhere safe. 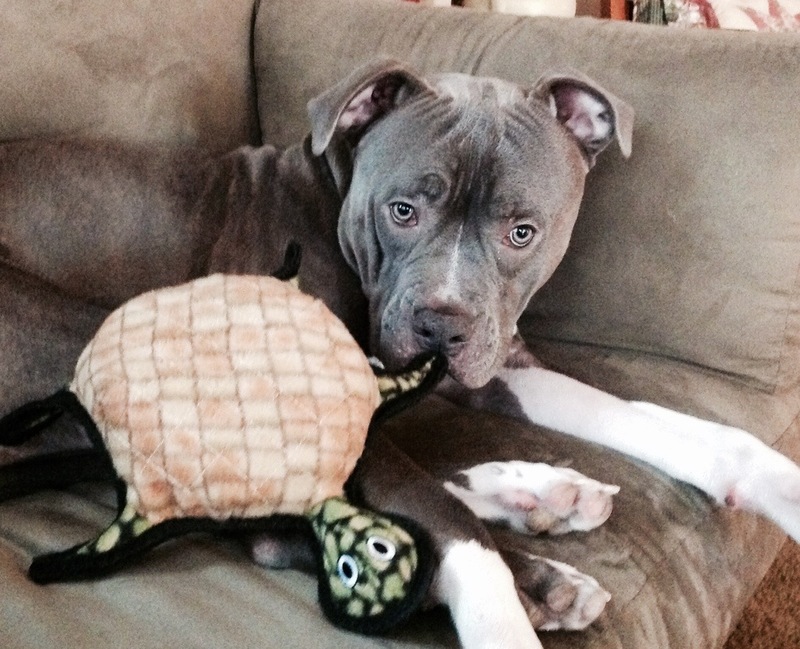 For Christmas, Bear got a turtle. He’s been trying relentlessly to rip it apart. The turtle doesn’t have a scratch on him. A big thank you to http://www.dogtuff.com for making toys that my dog cannot instantly shred.